Life is pain. Yu Darvish, who was unable to make tonight’s game due to the flu, knows that. Jason Heyward, who is now on the DL for a concussion, knows that. Javier Baez, who came in late into the game after a right groin tightness last night, knows that. Myself, who has bronchitis, knows that. Which is why tonight’s 4-3 victory over the Miami Marlins was like a cup of chicken soup for the Cubs’ soul. What You Need to Know: Only hours after being called up, Jen-Ho Tseng took the mound to make his second career major league start. But after a rough first inning in which he gave up three runs, and with a chance for the Cubs offense to get on the board in the second inning, tonight became a bullpen game. Manager Joe Maddon’s move paid off as David Bote, who was also called up today, came in to pinch hit for Tseng in the second and had a two-run double to close the deficit. 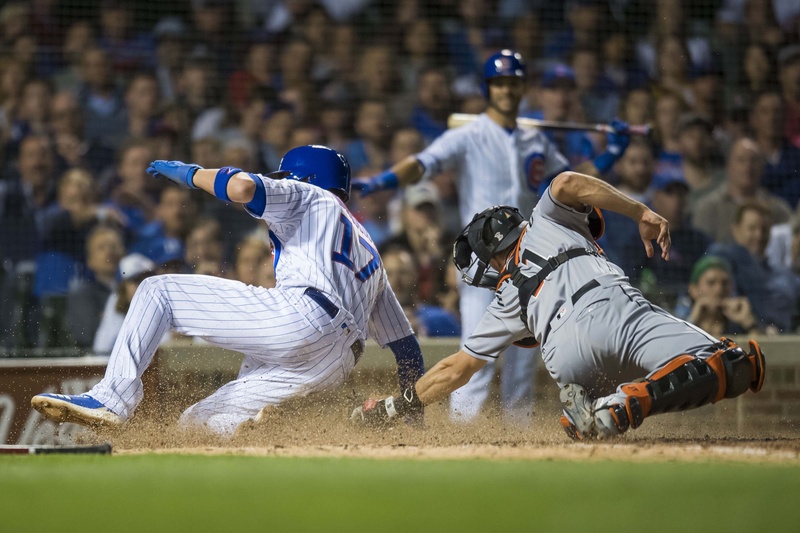 After getting another run in the sixth inning, the Cubs were able to go ahead in the eighth. Catcher Victor Caratini tapped a ball to Starlin Castro who was late with his throw to home plate, allowing Kris Bryant to score. Next Level: After scoring two touchdowns against the Marlins last night, tonight the Cubs offense showed positive signs even if they were only able to put two safeties on the board. With runners on base, the Cubs were able to keep the line moving. Well timed hits helped the Cubs get back in the game early and win it late. Tseng’s short start meant that six relief pitchers were used in tonight’s game. The bullpen was able to only give up a combined two hits and zero runs over seven innings of work. Up Next: ubs close the series against the Marlins tomorrow afternoon. Jose Quintana will make the start.